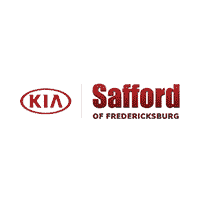 At our Woodbridge auto parts center, we maintain a comprehensive inventory of extremely high quality Kia OEM parts. Just as our Woodbridge area service department consists of highly trained technicians and engineers, our parts center consists of highly qualified, knowledgeable staff members who understand both customer service and automobiles inside and out. They will happily answer any of your questions and help you through your concerns. As we carry a wide variety of Kia OEM parts, we may not always have exactly what you need. If ever we don’t carry your specific part, we will happily place an order for you. In addition, we always have auto parts near Woodbridge, as we always want our customers to receive the best possible price. However, these specials do vary and expire so use them well! We have also provided a parts request form. Here, you can complete it, request the parts you need, and we will quickly reply whether we have your specific parts or not. If not, we are always happy to place an order for our customers. Visit us at our Woodbridge auto parts center. For inquiries, parts requests, or more information about our center, contact us at (888) 706-9217.